A lightweight musical comedy with a few excellent moments, Top Hat struggles to stretch its single gag into a story between the song and dance routines. Showman Jerry Travers (Fred Astaire) is invited to London by promoter Horace Hardwick (Edward Everett Horton) to prepare for a new show. 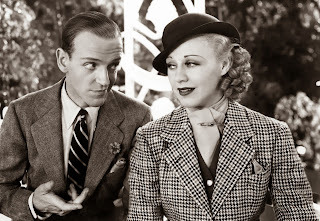 While staying at a swanky hotel, Jerry's tap dancing disturbs the sleep of model Dale Tremont (Ginger Rogers), who is being pursued by smarmy fashion designer Alberto Beddini (Erik Rhodes). Jerry starts to court Dale, without telling her who he is. Meanwhile, Horace is engaged in a long-running verbal sparring march with his butler Bates (Eric Blore). Dale confuses Jerry with Horace, who is married to Madge (Helen Broderick), and she believes that Jerry is a two-timer. Jerry's show opens and is a huge success. As everyone moves to Venice where Dale is modeling, Jerry has to clear up the confusion before Dale succumbs to marriage pressure from Alberto. With a score by Irving Berlin, Top Hat features some all-time classic musical numbers. Top Hat, White Tie and Tails has Jerry dancing up a distinguished storm on the London stage, joined by a supporting army of top-hatted men. Cheek to Cheek finds Jerry and Dale dancing to the bittersweet romantic melody matching her uncertain mood, as she grows ever more attracted to a man that she believes is married to someone else. Rogers dancing in that gorgeous but feather-shedding gown earned her the eternal nickname Feathers from Astaire. Less notable but still good, Isn't This a Lovely Day (To Be Caught in the Rain) kicks off the romance between Jerry and Dale as they dance in a park gazebo. But there is precious little to fill in the gaps between the musical highlights, and at over 100 minutes, Top Hat is not trying for brevity. It's difficult to imagine what up to five screenwriters spent their time doing, because they certainly were not developing compelling plot points. The mistaken identity joke is carried way past its best-by date, but in the absence of any other meaningful story elements, it just gets dragged along from London to Venice. Erik Rhodes as Beddini is overly theatrical and quickly irritating, while the rest of the cast offer no musical support and no memorable acting. 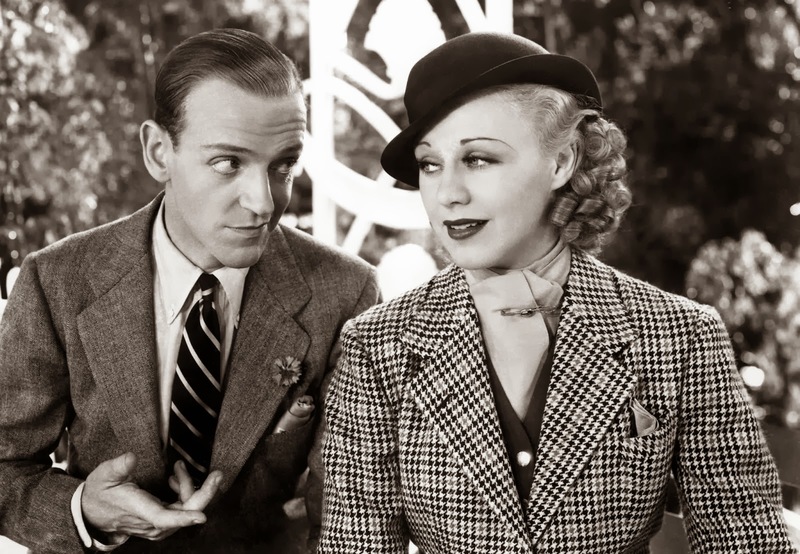 But director Mark Sandrich does ensure that the song and dance numbers are well staged, capturing the magic of Astaire and Rogers in long takes and full-length. Sandrich also makes good use of the final, elaborate Busby Berkeley-style Venitian set, as the film ends with the flourish of The Piccolino. Top Hat may lack depth, but it kicks up its heels when it comes to exuberance.